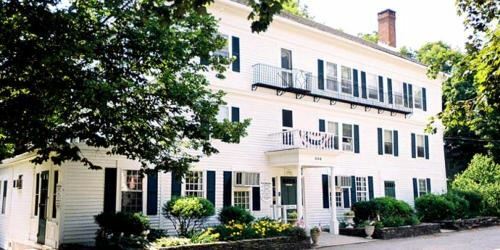 We cater at the inn for a multitude of occasions ranging from baptisms to graduations, rehearsal dinners to intimate weddings, bridal and baby showers, and so much more. Celebrations of every kind are extra special shared at The Inn. For those times though when home is where you wish to entertain you can count on us with a pick up order for anything from BBQ Ribs to your whole Thanksgiving Dinner. We offer full service catering such as for a cocktail party, family reunion picnic, wedding, or whatever the occasion may be as well. Besides our already wide range of menu choices to more than satisfy any visit to The Inn we also offer special promotions every day of the week in The Main Dining Room and Our Pub. Every holiday families share the inn as an extension of their home for a bit while enjoying great food and make new memories. Includes- Tossed Garden Salad, Mashed or Roasted Potatoes, Seasonal Vegetable Medley, Dinner Rolls & Butter, Cake, Soda, Coffee, Hot Tea Choice of One- Ziti & Meatballs Sausage & Peppers Pasta Primavera Penne a la Vodka Choice of Two- Baked Ham Sliced Roast Beef Roast Turkey Turkey Pot Pie Chicken Marsala Chicken Francais Additional Options: Circulated Hors d’oeuvres- Stuffed Mushrooms w/spinach & artichoke 18/dozen Scallops wrapped in bacon 24/dozen Mini Crab Cakes 18/dozen Spanikopita 18/dozen Artichoke Parmesan Bruschetta 18/dozen Stationary Hors d’oeuvres- Shrimp Cocktail 24/dozen Assorted Cheeses, Grapes & Crackers 5/person Crudite & Dip 4/person -dip choices are ranch, creamy dill, spinach, or hummus Sliced Fruit & Strawberries 5/person Antipipasti Platter 5/person Mediterranean Platter (vegetarian) 4/person -includes pita chips and hummus Entrées- Grilled or Poached Salmon add 4/ person Sliced Beef Tenderloin add 5/ person Salad- Mike’s Seasonal Salad add 2/ person Desserts- Cookies, Bars & Brownie Display add 3/person Seasonal Dessert add 3/person House-Made Punch- (per 3 Gallons) Non-Alcoholic 35 Vodka Punch 55 Champagne Punch 75 Please advise if there are any dietary restrictions we need to be aware of.